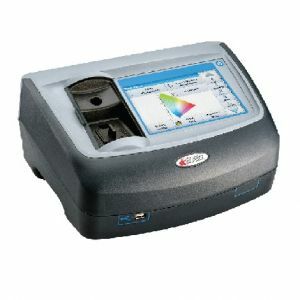 High performance Spectral Colorimeter measures the color of clear and transparent liquids of over 25 different color scales. Additional capabilities include transmission, extinction measurements and wavelength scans, making the K13560 a versatile instrument for every lab. An EtherNet connection allows users to easily integrate the unit into their laboratory network and transfer results directly to the network. Extremely user friendly; providing clear operating instructions on the 7inch, high resolution touch screen.